We are delighted to announce that we have once again been shortlisted at this year’s GIR Awards in the category Investigations Consultancy of the Year. This is the third time in a row we have been shortlisted for this award and we are hoping to make it a triple win at the award ceremony on 25 October in Washington, DC. Thank you to all of our clients who took the time to nominate us for this award. Congratulations to AlixPartners, BDO and PwC, who were also nominated in this category. 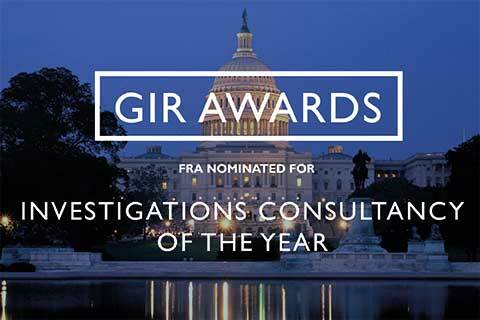 GIR Investigations of the Year shortlist.